This preschool yoga class, intended for 3-5 yo, is a mixture of yoga games, stories, beginning postures and movement. 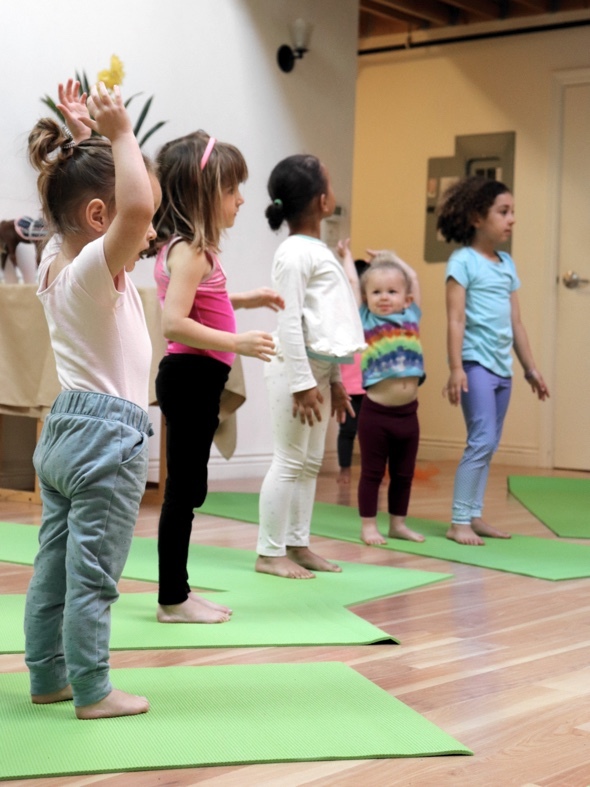 The class encourages physical and mental development while introducing kids to the language and movement of yoga with a little laughter along the way. Parents can drop-off if child is at least 3, but not until your child is comfortable with the instructor and the class environment. If child is younger or uncomfortable, we ask that parents to stay in the room. The curriculum for the preschool level is a bit more advanced. A longer attention span and more fine motor skills are tested. But, if you and your 2 yo can only make it to this class, don’t worry, just come on over.